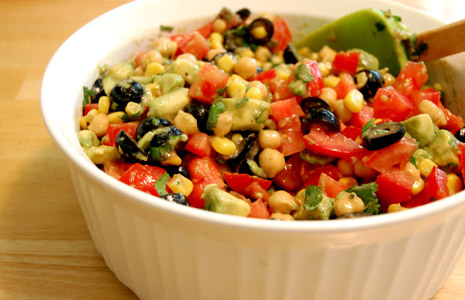 Cowboy Caviar is a cold bean salad. Mix together beans, corn, tomatoes, peppers, and onion. Set aside. Mix together vinegar, oil, sugar, stirring until sugar is fully dissolved. Refrigerate overnight or at least a few hours before serving.